Everything has a beginning, middle and end, kindness graces particularly the two ends. 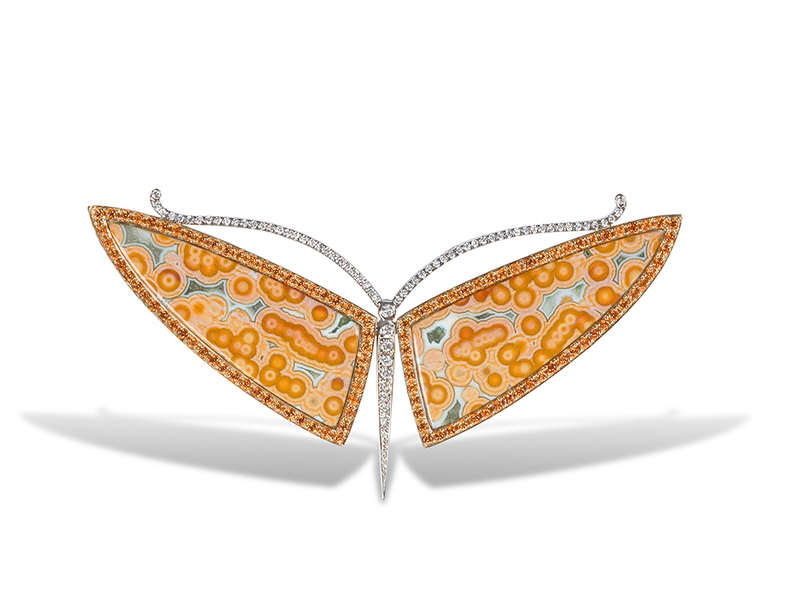 Brooch in 18 karat White and Yellow Gold, White Diamonds, and Spessartite Garnets. The brightness of white is equal to the delicate upward trajectory of a creative being. 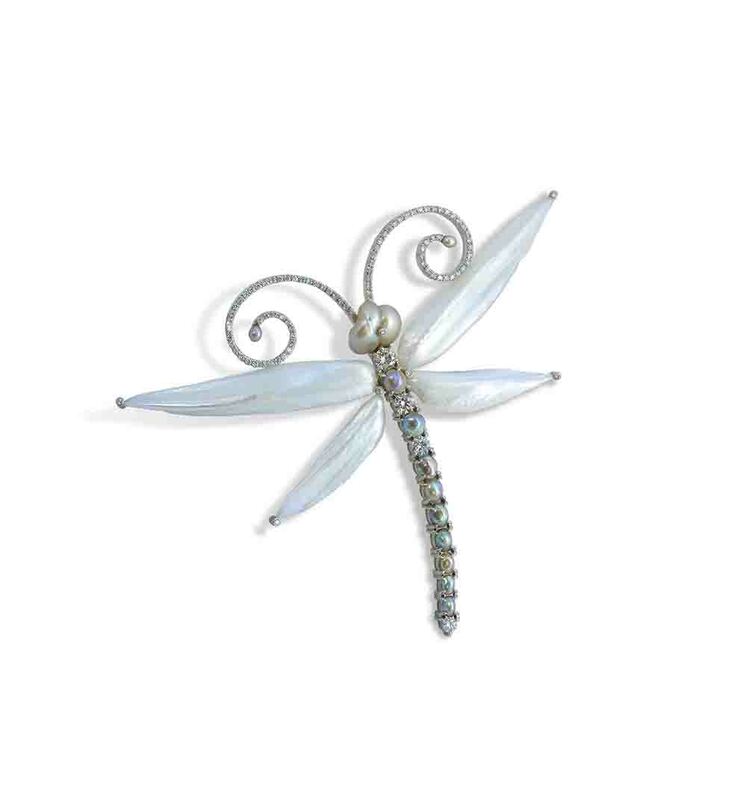 Brooch in Platinum, White Diamonds, and Natural Pearls. Happiness is like dancing feet and bouncing hair. 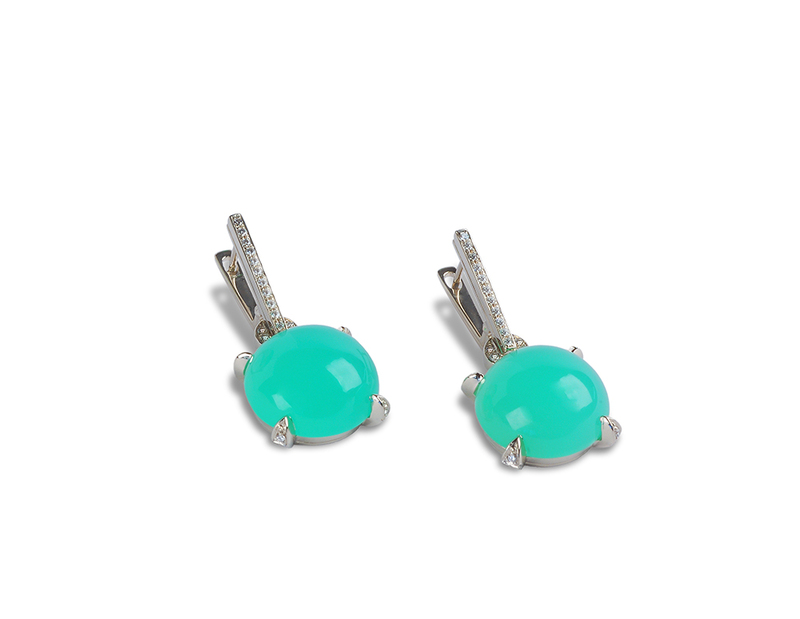 Earrings in 18 karat yellow Gold, Green Sapphire, and Carved Moonstone. All is well, lovely colors, forms, and intention. Brooch in 18 karat White Gold, White Diamonds, Pink Sapphire, Tourmaline Slice and Mother of Pearl. In the warm light, filled with wonder, life revealsits beauty. 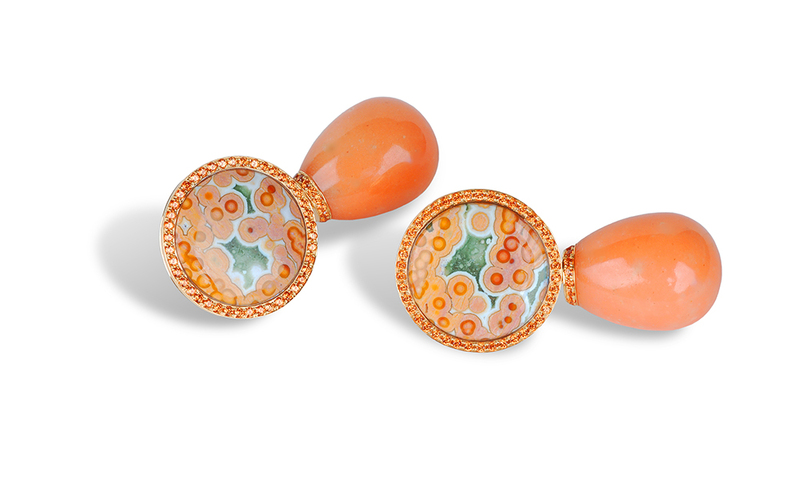 Earrings in 18 karat Yellow Gold, Ocean Jasper, Eosite Drops, Spessartite Garnets. The massive body filled with grace moves silently through the night sea. 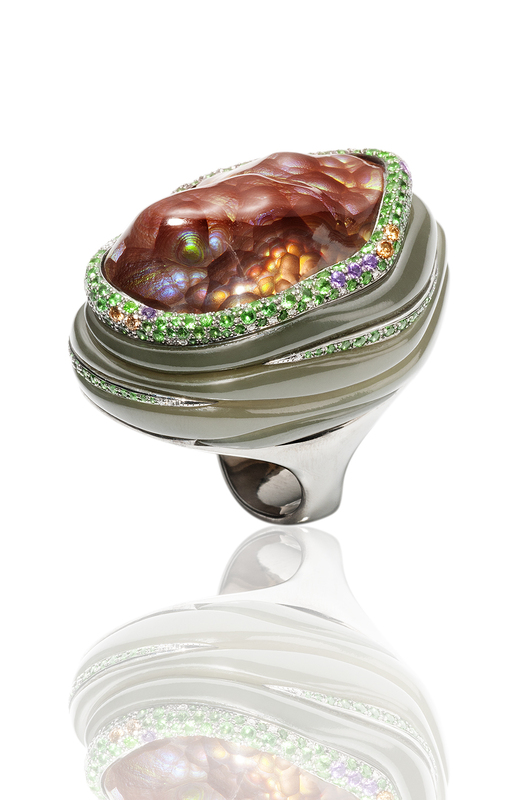 Ring in 18 karat white gold, Black Ruthenium, White and Brown Diamonds, Amethyst, Green Garnet, Jade, and Fire Agate.